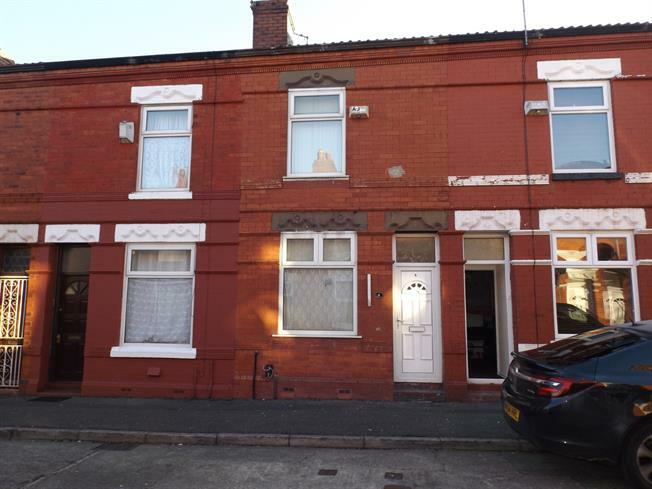 2 Bedroom Terraced House For Sale in Manchester for Asking Price £130,000. A two bedroom mid terrace property situated close to shops, and transport links. The property in brief offers a open plan lounge diner, large fitted kitchen, three peace bathroom suite to the ground floor and two double bedrooms to the first floor. The property comes fully double glazed and offers gas central heating. Being sold vendor chain free and viewings are highly recommended. Double glazed uPVC window with frosted glass facing the side. Radiator, tiled flooring, ceiling light. Low level WC, spa bath, shower over bath, pedestal sink. Double glazed uPVC window facing the side overlooking the yard. Radiator, tiled flooring, part tiled walls and tiled splashbacks, ceiling light. Granite effect work surface, wall and base units, one and a half bowl sink with drainer, integrated oven, space for integrated hob.